Things between star actor, Muftua Adio popularly known as Ajigijaga and his wife seem to be nose diving further as sources inform us of a brewing storm between the estranged couple. According to the information at the disposal of those who know, the highly revered actor and his wife of many years have finally parted ways. As to what crashed the marriage? Only God knows, as allegations and counter-allegations have been flying around. Sources disclosed that Ajigijaga abandoned his home over what he labeled ‘Life threatening behavior’ of his wife whilst some of their friends revealed to us that the marriage eventually packed up, after several rumours of alleged affair between the actor and another young beautiful lady. Initially, the actor’s wife was said to have waved off the story as mere hear-say until the dark-skinned lady got to see things for herself. 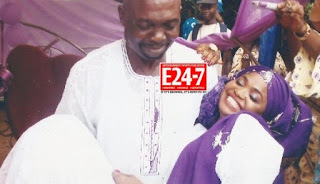 The truth behind the whole story finally surface on November 24th, 2012, when the actor formalized the relationship with his new lover, Taiwo Hassan(26) in Sango Ota, Lagos. 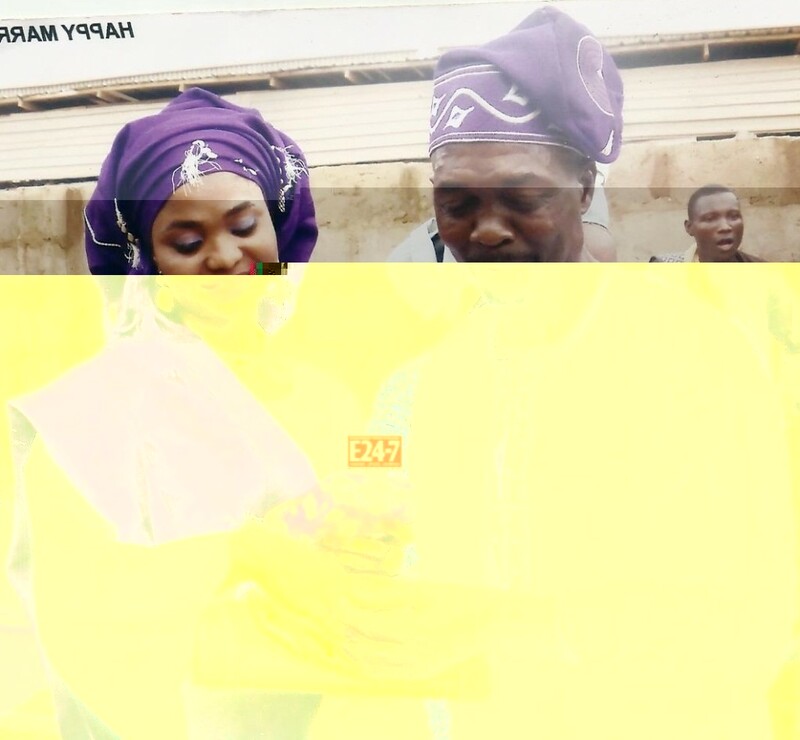 The occasion had only close relatives and selected friends of the actor and his new wife, Taiwo in attendance. Lots of Taiwo’s friends who are mostly big babes in Lagos are happy with this development. However, the question some people are asking is what happened to the actor’s first wife? Considering the fact that, she stood with him through his grass to grace story and also bore him grown up children.